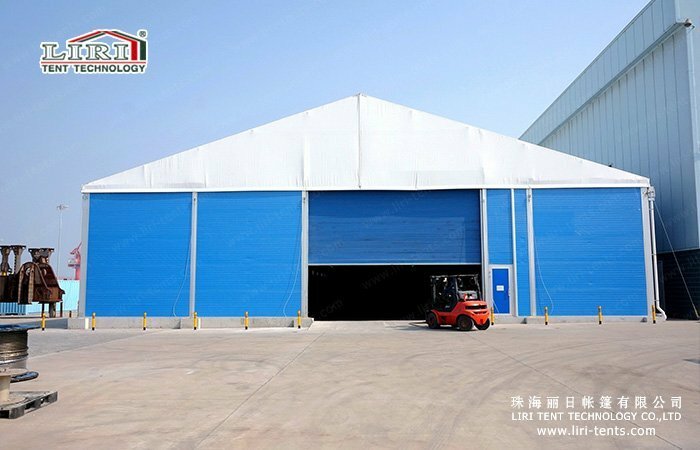 During the period of strategic adjustment, enterprises are faced with difficulties in the utilization of storage space. 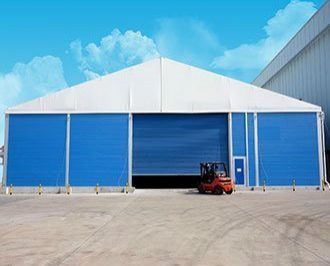 The investment cost of fixed warehouse construction is huge. We can quickly customize the movable and multifunctional temporary storage space. 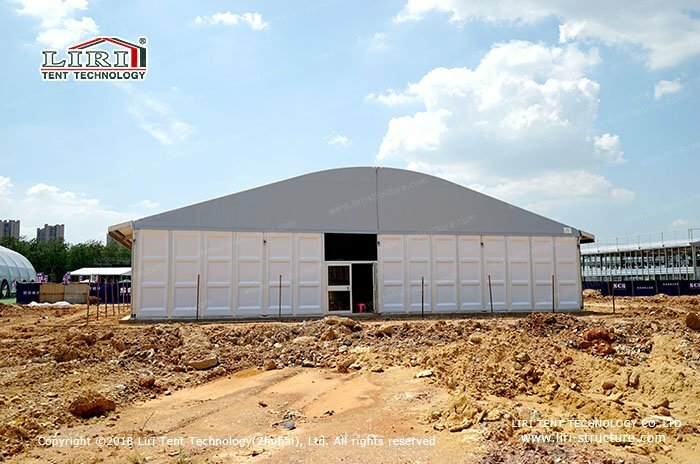 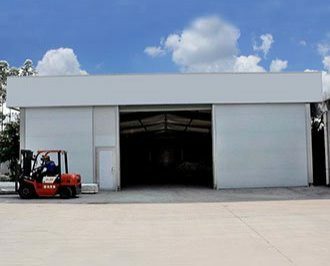 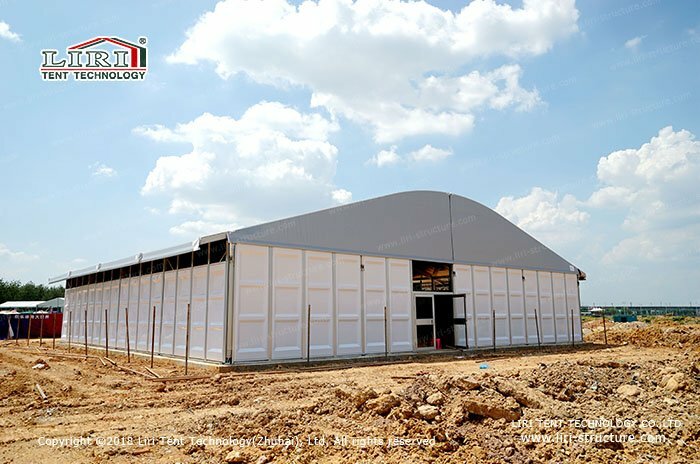 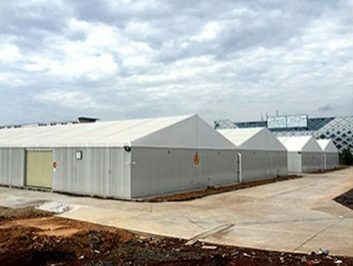 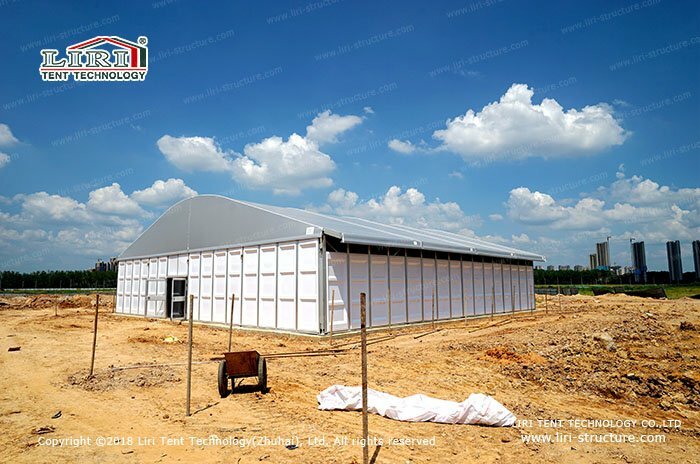 As for the application, temporary storage buildings are more safe and practical, materials are highly compacted and able to withstand various climatic conditions. 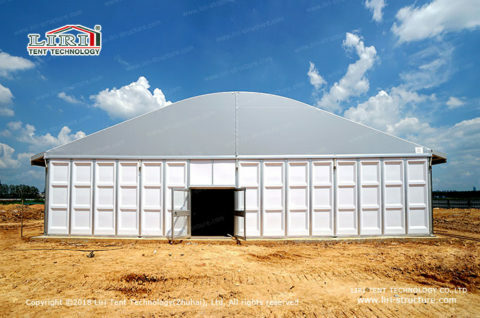 It is safe, firm and durable, with a service life up to 20 years. According to the customer’s demand, Liri made the 20×20 temporary storage tent without any pillars inside, thus the spacious space can allow the entry of large equipment, the storage of goods, can also satisfy convenient transportation of the container truck, forklift and etc. 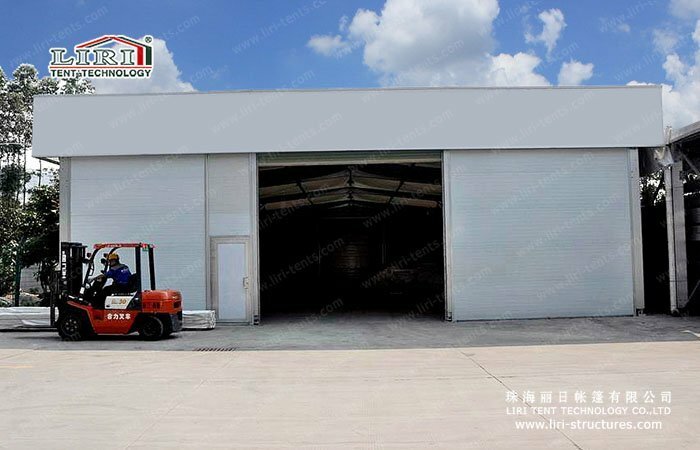 At the same time, it is guaranteed that the goods can be unloaded and loaded under any weather conditions, and short-term storage of those goods that have not been classified, therefore people can plan and utilize the warehouse more effectively. 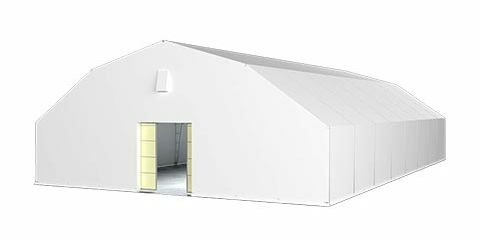 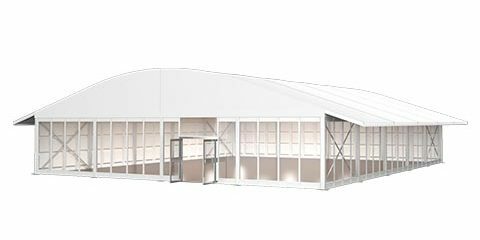 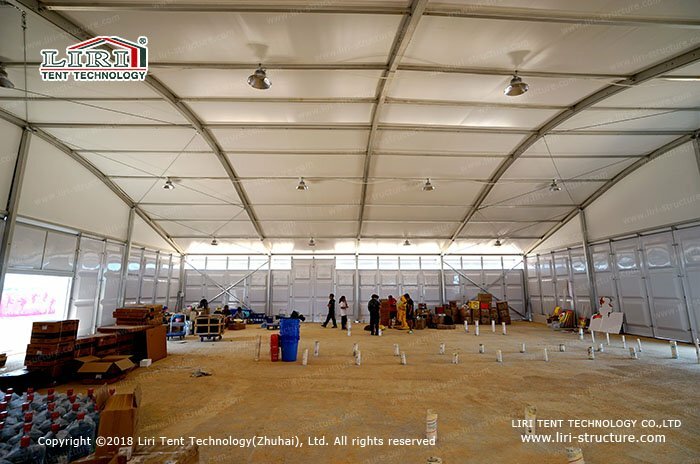 The main structure of temporary storage tents is made of high-quality 6082 aluminum alloy and double-coated PVC polyester fabric, which is lightweight, easy transportation, quick installation, and expansion, and 100% recycled. 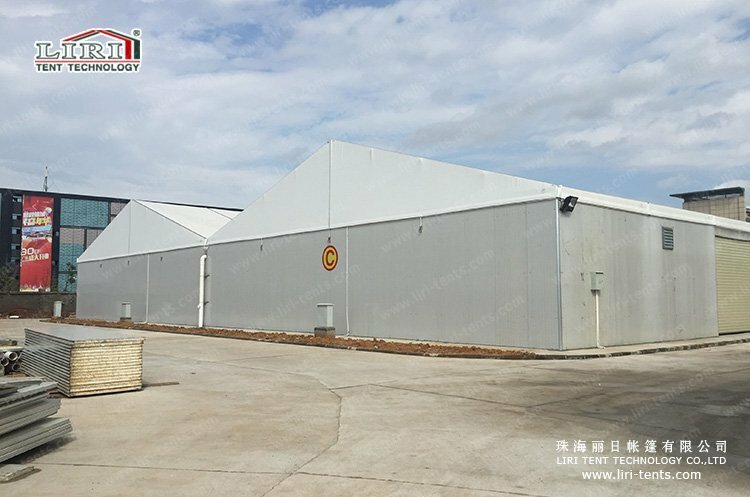 It has solved the problem of difficulty of warehouse expansion and storage in low/peak season. 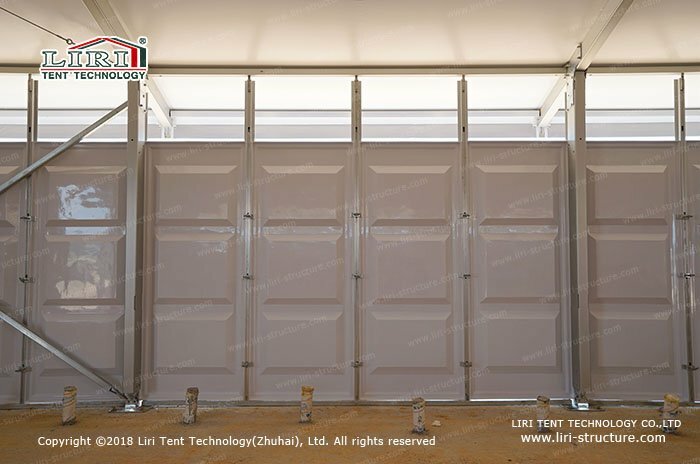 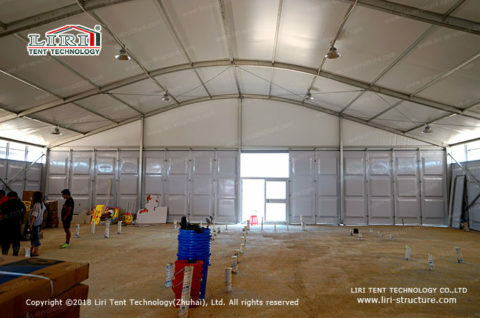 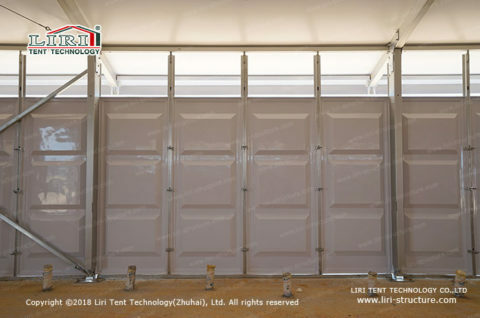 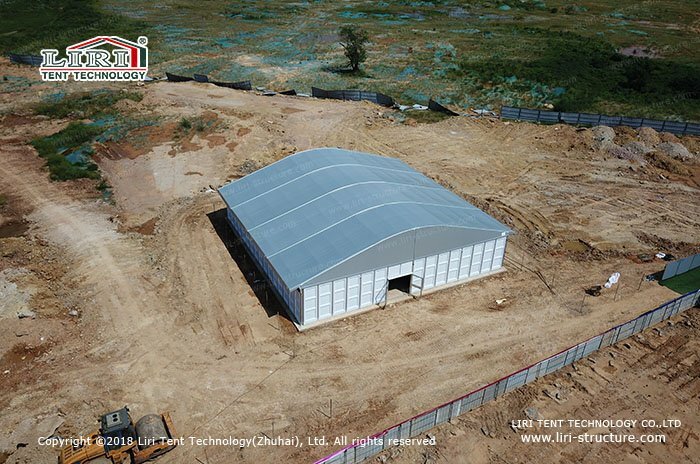 Liri temporary storage tents can also be with the personalized supporting facilities such as inflatable roof cover, roller door, ventilation system, lighting system and drainage system for customers to choose freely. If you have various demands for the storage tents at present, welcome to communicate with us.